Asset monitoring, also known as asset tracking or asset management, is a system of hardware and software that logs information about tangible assets, allowing a business to verify its assets’ location and status. In addition to asset location, an asset monitoring system might also track an asset’s name, type, usage, engine hours, maintenance schedule, or other information, and may send alerts to managers when anything goes amiss. While the scope of asset tracking is large enough to apply to fixed assets such as warehouses and to smaller assets such as laptops or pagers, this guide takes a deeper look at the most vulnerable class of assets: High value, movable ones that must be monitored remotely. Popular assets in this group include construction and moving equipment, railway vehicles, shipping containers, and even portable toilets. Here, you’ll learn more about the benefits to asset monitoring, the hardware and software options available for it, which companies are the best, and how much it all costs. Benefits of Asset Monitoring – Discover the short and long term benefits of tracking high valuable movable assets, beyond security and theft deterrence. How Asset Tracking Works – Explore the three tracking methods used for asset monitoring. Asset Tracking Hardware and Software – Find out what devices and programs you may need, to implement an asset monitoring solution for your business. Top Asset Monitoring Companies – Review the top 5 asset monitoring companies ready to help your business in 2019. Asset Monitoring Prices – Find out how much asset tracking could cost your business per month/year. What Are the Benefits of Asset Monitoring? Deterring theft is likely the most obvious benefit of keeping all your high-value assets closely monitored. Whether you’re simply establishing an internal disincentive for fraud or actively following up for insurance claims, an asset monitoring program will provide all the security you need to rest easy. Asset monitoring systems can log and display asset information 24/7. One added benefit is that the actions of any employees using the high-value assets can be tracked as well, from their travel times to their engine hours to their geographic location to any unauthorized use. Given the value of your assets, you’ll want to ensure your employees treat them well. And since the asset monitoring system runs in the background, you won’t need to micro-manage at all. Assets are passed from employee to employee to service provider constantly, internally and externally, leaving a lot of potential for lost or misplaced assets that can easily result in lost revenue and productivity. An asset monitoring system is the obvious solution. Once managers have collected enough data on their assets, they’ll gain another benefit: The ability to glean insights on the trends revealed by their equipment’s travel and use. Are snow plows used more in November? Rent a few to meet demand. Are you seeing unneeded downtime during work hours? Tweak the schedule. Asset tracking data can reveal time-saving measures you never knew you needed. 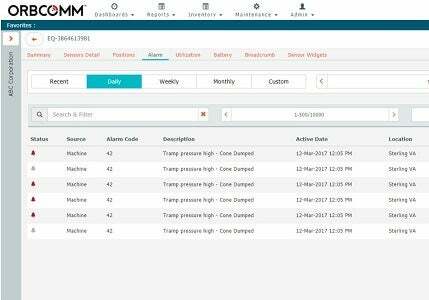 The best asset monitoring software can be set to track scheduled maintenance either by length of time since the last tune-up, or by metrics like engine use. Email or SMS notifications will then be triggered when its time for a preventative maintenance job. Manually tracking maintenance takes up time you can’t afford, and don’t need to. All data is easier to track when it’s locked into a centralized database, particularly one that’s updated in real time. After adapting to an high quality asset monitoring program, managers will be not only able to keep an eye on their assets’ volume but also on its location at any given moment- all from their desktop dashboard, or even a mobile app. Assets can be tracked by three main methods. The first method uses barcode labels on the assets, which must be scanned in order to update the system on each asset’s current location. Another method uses GPS (Global Positioning System) trackers, which automatically broadcast data to the via satellite. Finally, RFID (Radio-Frequency Identification) tags may be used to track assets. Each tag includes an antennae that uses radio waves to transmit data a short distance. RFID tags may be “passive,” which means they will only transmit data a few yard and must reach a checkpoint in order to be logged by the system, or they may be “active,” and use a battery to boost their signal to around 1.25 miles, allowing data to be logged more easily. Of these three methods, GPS tracking is the only one that tracks assets in real time, allowing a manager to view them at all times. The biggest names in asset tracking – Verizon Connect and Samsara – offer GPS tracking. While RFID or barcode-based systems track less information, making them imperfect for high-value asset tracking, they can be more flexible for businesses with warehouses full of products to be shipped or sold. In all cases, a central software system logs the information and maintains all high-value assets. It’s this software that can include features such as text or email notifications, and which displays a dashboard that allows managers to view all their assets at a glance. The hardware needed for an asset monitoring system varies depending on what method you’ll use. If it’s GPS tracking, you’ll need one GPS hardware unit per tracked asset. If it’s RFID tracking, you’ll need one RFID tag per tracked asset, and one RFID receiver (also called a reader) per storage location. If relying on barcodes, you’ll need one barcode label per asset (typically bundled with the barcode tracking software), and at least one barcode scanner per asset storage location. If you’re using QR codes, a smartphone or tablet will be able to scan them just as easily as a scanner, which may save costs if your workers already use them. Most software solutions are cloud-based: Business managers subscribe on a monthly or, more often, annual basis in order to gain access to a software that gathers data from their asset tracking hardware into a central location. Since it’s cloud-based, any updates or debugging is handled by the software provider, so there’s no need for a dedicated IT professional. 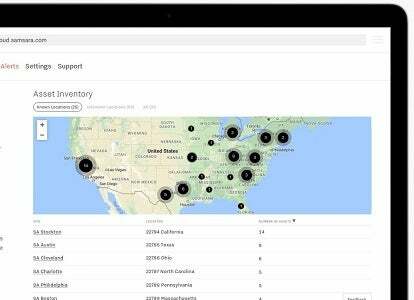 Verizon Connect’s GPS asset tracking software is available through the Verizon Connect platform, which also offers a related FMS, or fleet management system, software. Through Verizon, managers can track their assets’ locations in real time on desktop, or with a mobile app, where they can also receive alerts. It covers fixed as well as movable high-value assets, though managers will likely be more interested in the location of their excavators than their sheds. Managers use tags to better filter through their asset profiles, which feature data including location, current status and usage history. Verizon Connect is one of the biggest asset trackers in the industry, and is recommended for large operations aiming to prioritize data collection. 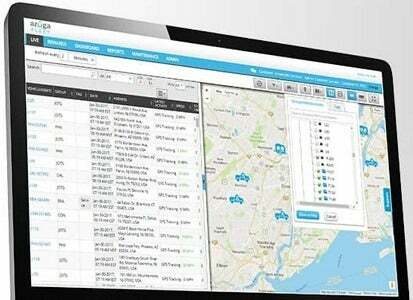 Samsara’s GPS tracking system offers all the features you should expect. Managers can track assets in a searchable database that sorts assets by name, type, tracking location, usage, and engine hours for each. Managers can easily track billable hours, letting customers know that they’re only paying for the hours during which an asset was in use. In addition, text or email alerts can deter theft by notifying managers when a geofence is triggered or a powered asset is turned on. 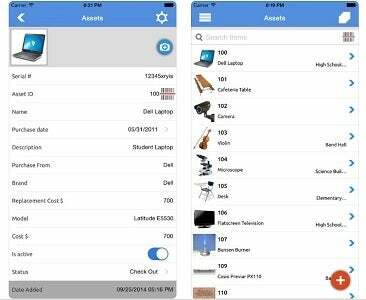 Asset Panda offers a flexible and cost-effective option: It supports GPS tracking and comes with a versatile mobile app that can scan barcode labels. The dashboard is customizable, letting managers pick and choose what assets or data should be prominently displayed, and a raft of integrations are available, from G Suite to ConnectWise or Zendesk. The software includes role- and location-based security settings as well as alerts and data reports, and even tracks purchase or lease information for each asset. It’s a good choice for businesses that need plenty of options and integrations, but need to keep an eye on the cost. Azuga offers both weatherproof hardware GPS tracking units and the cloud-based software to run them, as well as its own FMS solution. In addition to real-time monitoring and reporting, the asset tracking program charts the progress of each asset from delivery to usage to the billing process. Alerts can be triggered not only by when an asset moves location or passes beyond a geofenced area, but also when an asset stops for a long duration. Assets are viewed on a dashboard map that can include vehicles as well, making Azuga a good option for managers that need to keep track of their moveable assets and their fleet at the same time. 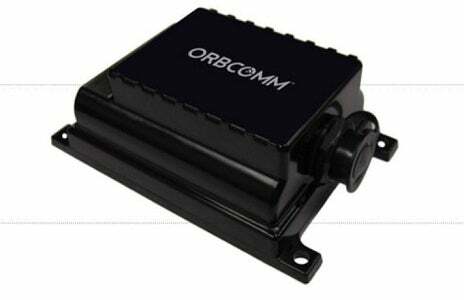 Orbcomm is an Internet of Things company that offers a broad range of asset tracking software and hardware including satellite and cellular connectivity. Their XT 4760 unit is a ruggedized plug-and-play device that delivers reports and alerts on asset status, location, usage history, arrival and departure times, and load status, all via a cellular connection. While Orbcomm’s suite of software solutions may be too industry-specific for many — options include reefer trailer tracking, heavy equipment, and above/underground mine equipment tracking — they remain a great fit for the businesses that do need them. Asset tracking systems are typically priced per asset per month, but billed annually. There’s a range of prices depending on the number of assets used and the number of features a business requires. A simple asset tracking service tends to cost around $15 to $25 per asset per month, though some services may go lower. Feature-rich options are more likely to cost anywhere from $50 to $150 per asset per month, though they’ll make up for it in the greater productivity gained and data collected. If your business is large enough, you can likely get a boutique quote from many asset monitoring system vendors. You don’t need to ask them individually, however: With Tech.Co’s quick quotes form, you can take a minute to fill out one survey and be able to compare and contrast quotes from a range of the best asset tracking companies around. to find the right solution for your business.